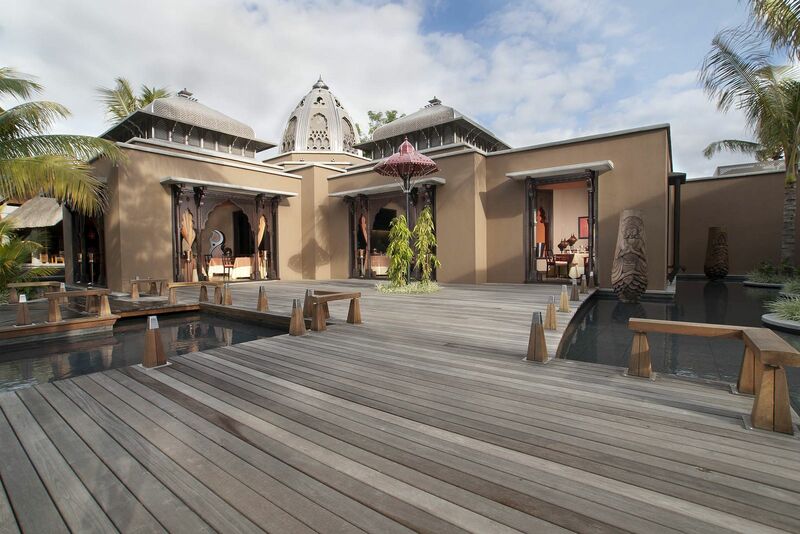 Sprawled over 86 acres of tropical gardens and with its multiple swimming pools, the Trou Aux Biches Resort is known to be one of the largest and most luxurious in Mauritius. 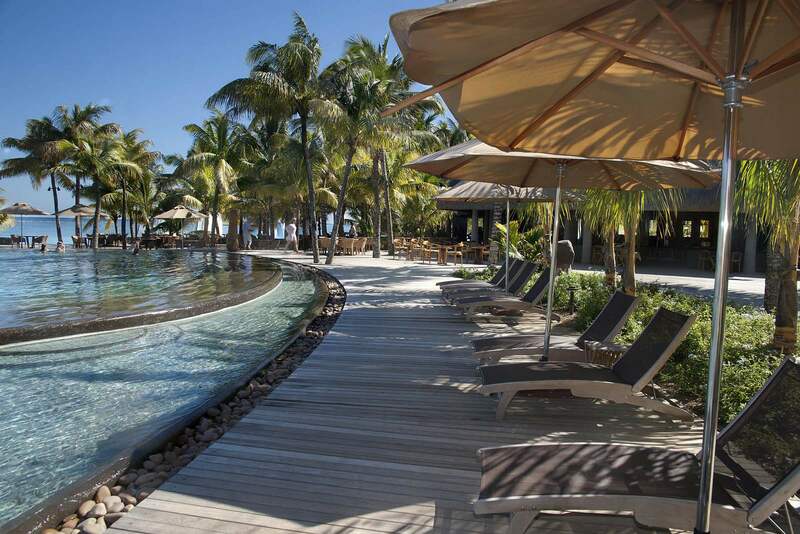 It has over 300 suites and villas spread across the property and the white sandy beach overlooking a turquoise lagoon. 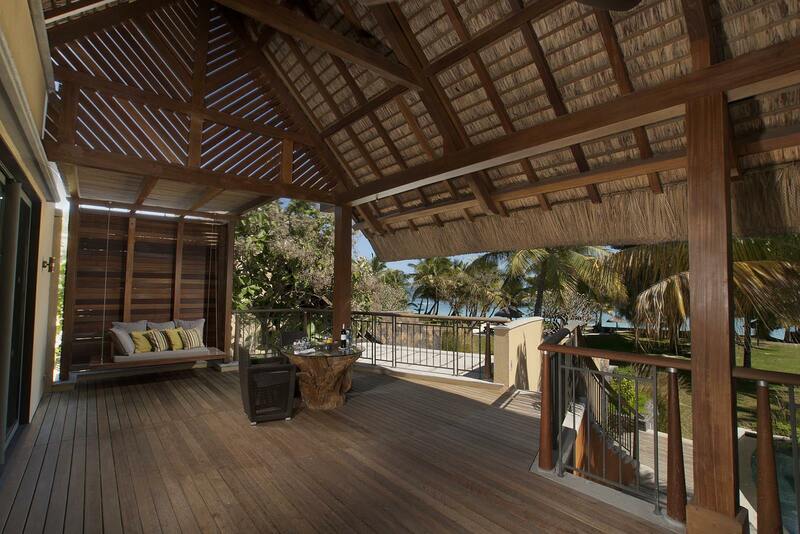 The architecture is inspired by a mixture of the vernacular and a touch of Southeast Asian influence. 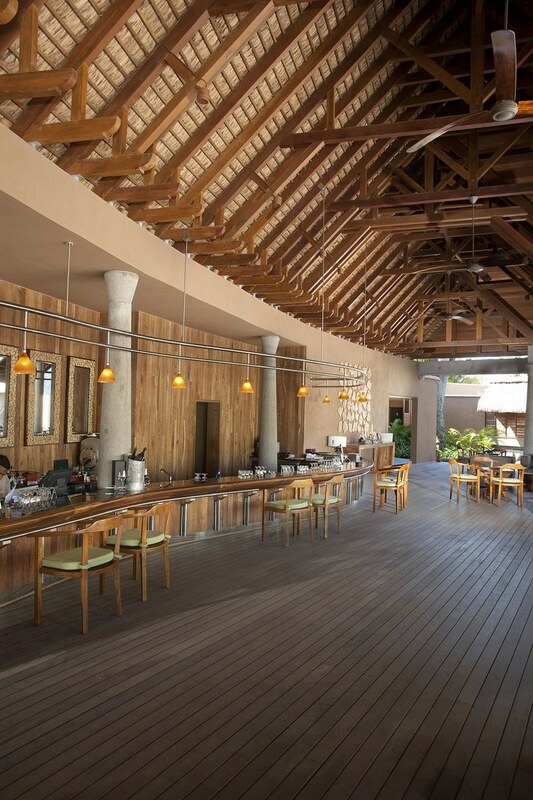 The spacious public areas such as the reception lobby, lounges, and restaurants are of precast concrete columns and beams while the high-pitched rafters are supported on hammer posts and beams interspersed with king trusses of Kempas. 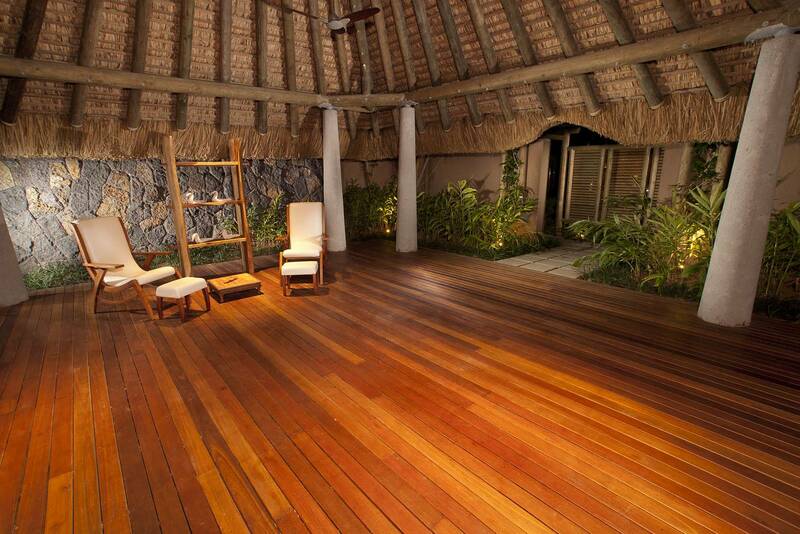 Balau strips line the floors. 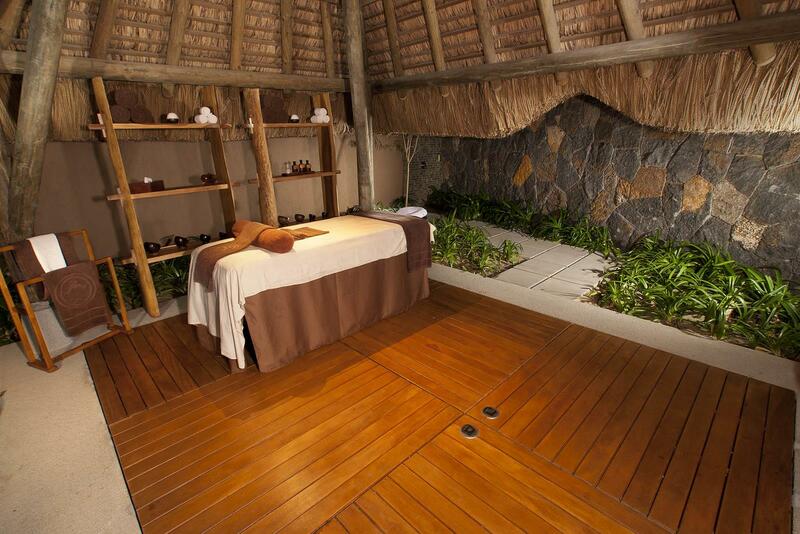 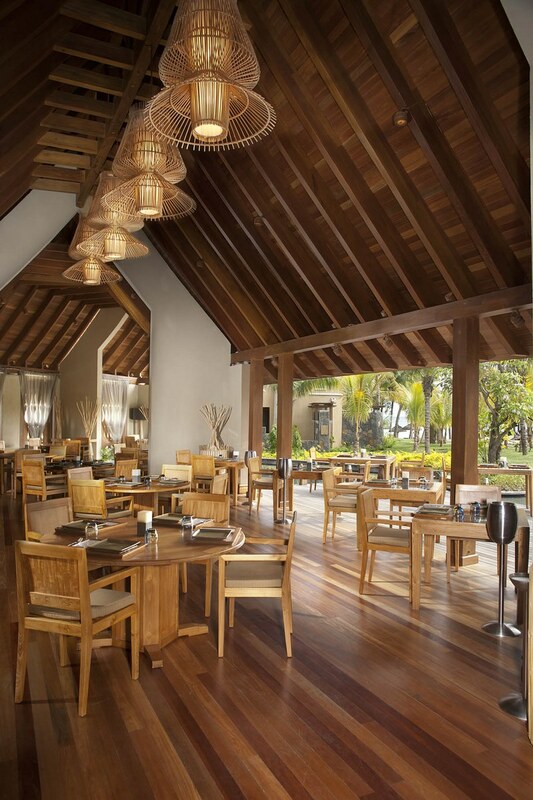 Interior woodworks such as timber screens, doors and windows, and furniture are of Teak. 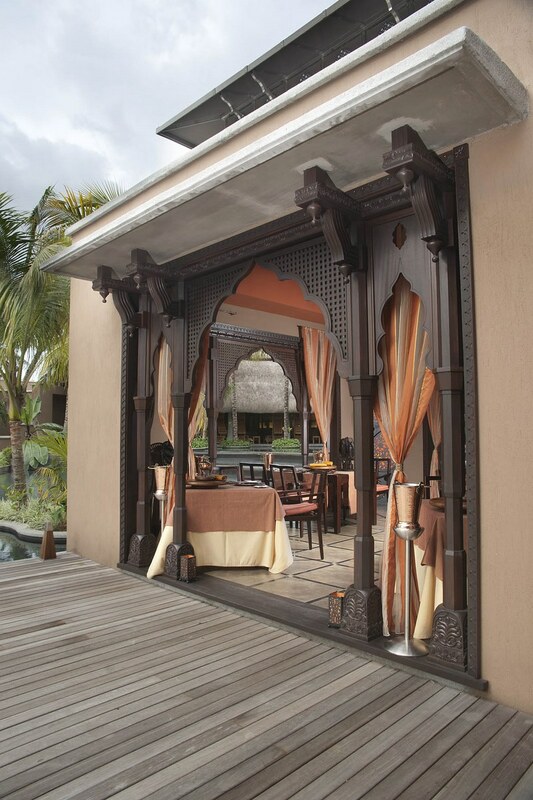 The entry portico has an interesting two-tiered roof, the upper one is thatched while the lower roof is shingled. 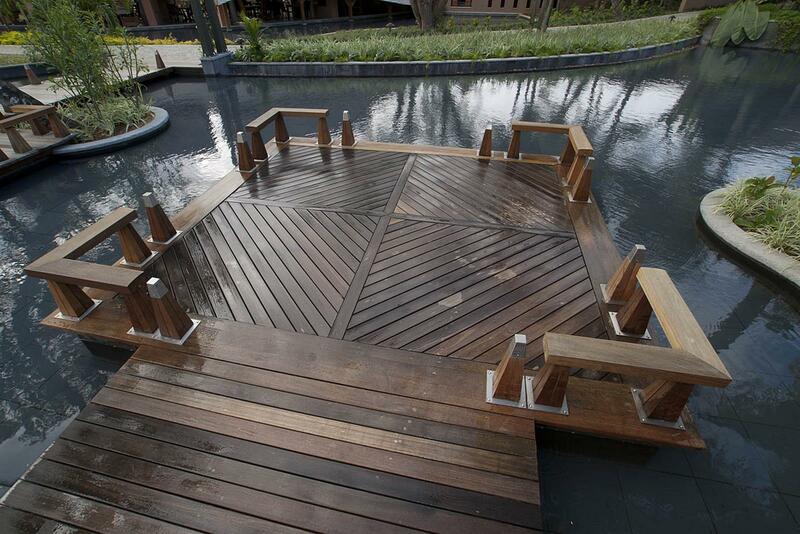 The latter slopes almost to the ground with a central triangular opening that floats over and frames an oval pool. 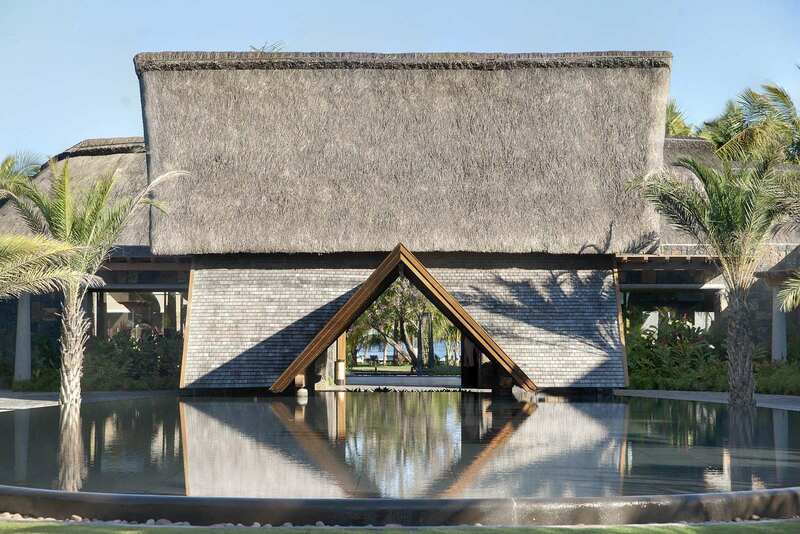 The triangular opening is a clever feature that beautifully frames a sneak preview of what lies beyond as guests drive up the road leading to the resort’s entry portico. 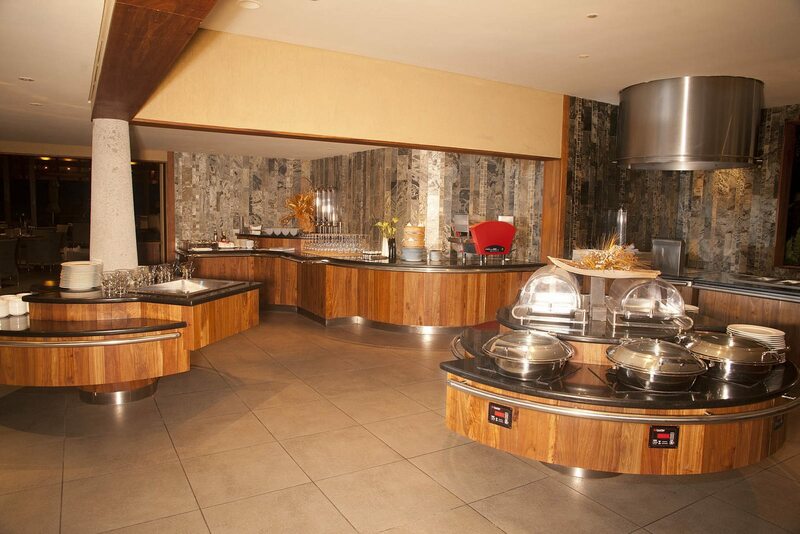 The Mahiya Restaurant is one of the six specialty restaurants that serve cuisines from the far corners of Asia to the shores of the Mediterranean. 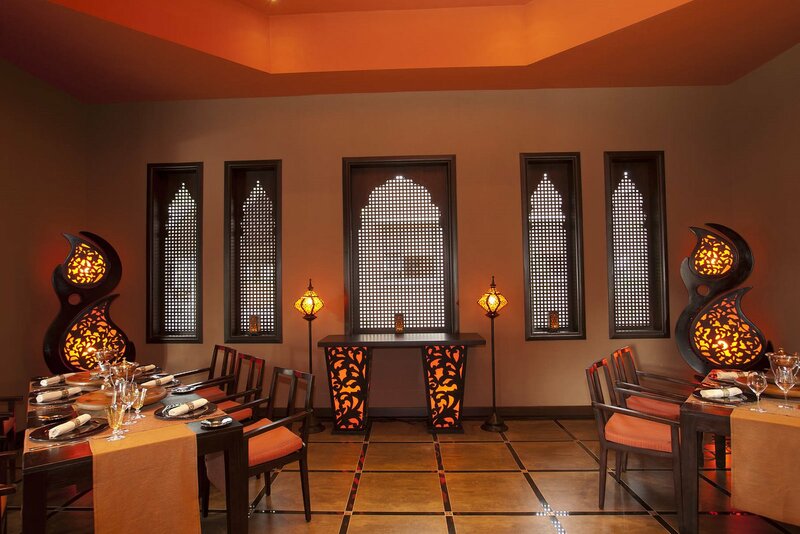 The architecture and interior design of Mahiya evoke the grandeur of the palaces of the Indian Maharajas. 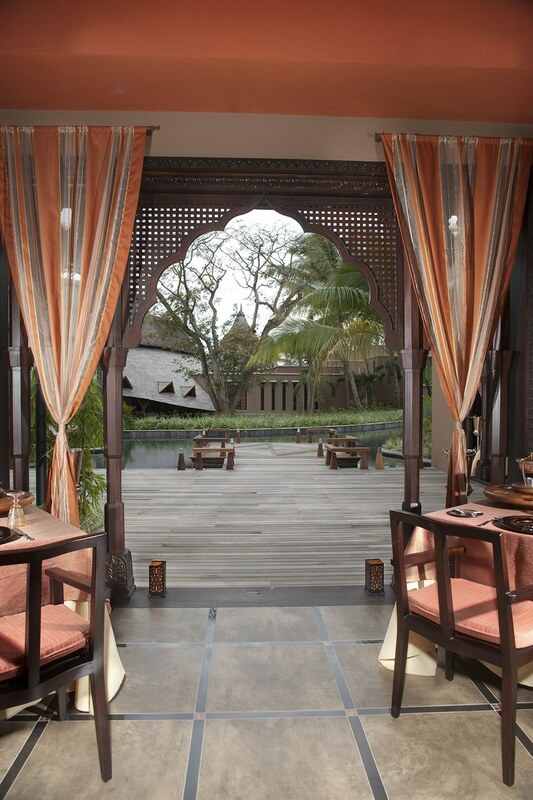 Intricately carved timber arches framing the doors and windows temper the fortress-like masonry walls. 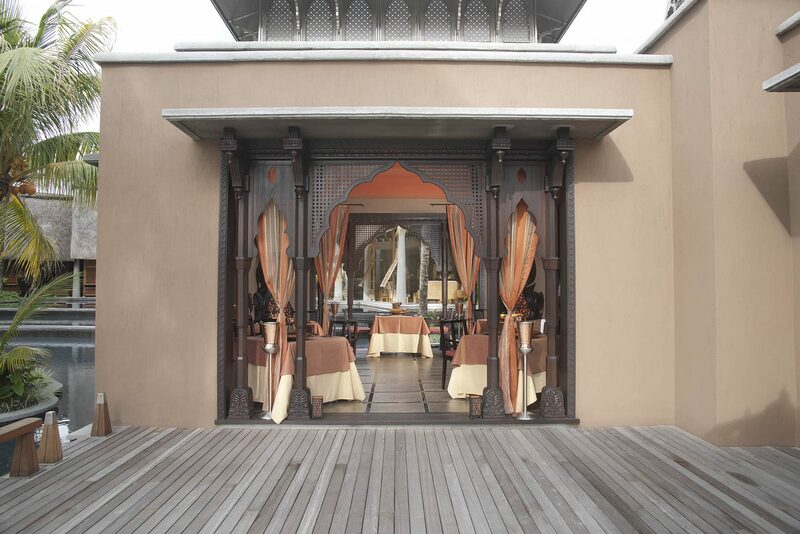 The finely decorated central dome is reminiscent of the stupa of Indian temples. 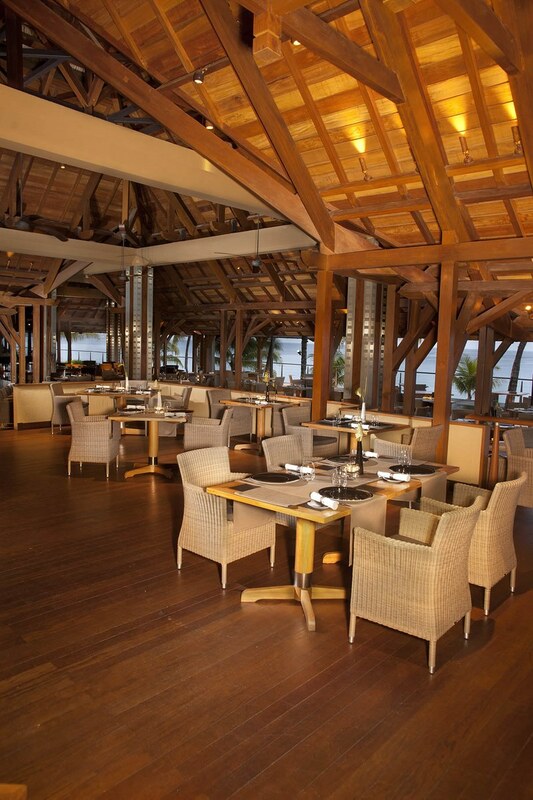 Balau strips lead to both the al fresco dining area and the main restaurant. 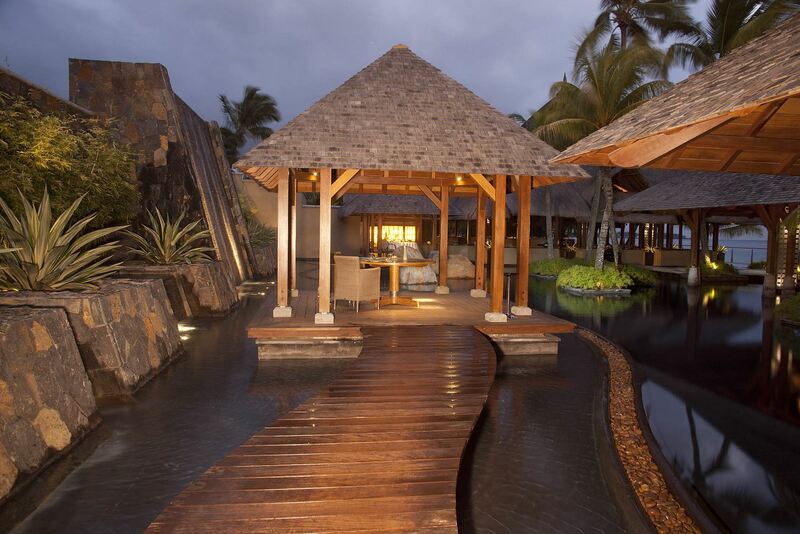 Timber bollards in the shape of rectangular pyramids conceal ambient lighting to softly illuminate the edges of the decking at night. 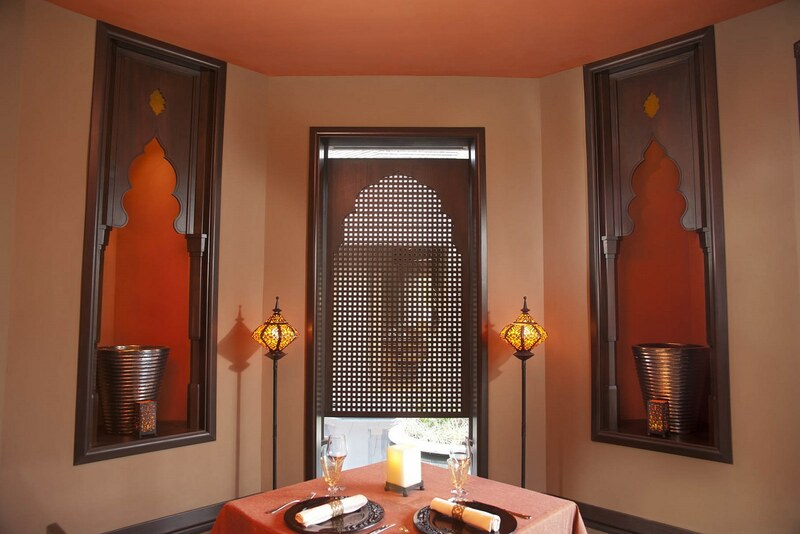 Latticed timber door frames coupled with carved brackets is a further hint of the Indian influence in the design of the restaurant. 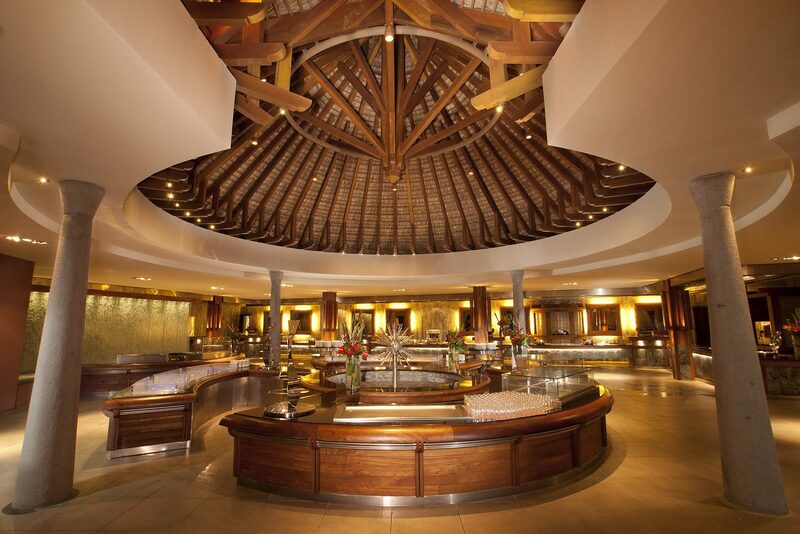 Altogether, the judicious use of timber serves to enhance every patron’s dining experience at the Mahiya Restaurant.